Increasing revenue is a priority for any business; when you run an eCommerce store, your goal is to grow sales via your website and related applications. 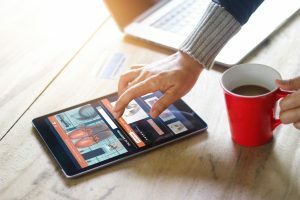 You might employ a wide variety of strategies for increasing your sales, from offering site visitors a personalized experience, to focusing on a primary product or service, to identifying and marketing to the right audience. By making a few simple changes, you may be surprised at how quickly your conversions increase. Personalization can be an invaluable tool for increasing conversions on your website. This may be done quite easily such as offering returning customers sneak previews of upcoming sales. Your website might also make specific recommendations based on products or services that your customers have purchased in the past. Another option is to provide repeat customers with discounts unique to their buying histories. By personalizing the experience for your customers, you not only make them feel as valuable to your business as they are – you also streamline the shopping and purchasing process for them. This is a great way to build loyalty and increase sales. If your home page has become cluttered with all of the products or services you offer, you may want to do a little reformatting. Viewing a home page that provides too much information could actually overwhelm some people, causing them to leave your website before they make a buying choice. A home page that offers information only on your main product or service may have the opposite effect; if the content is informative and the product or service is described in an appealing way, potential customers may be more inclined to explore the other pages of your website. Defining your intended audience is integral to getting the most from your marketing campaign. If you don’t yet have a clear idea of whom you are marketing to, you may need to conduct market research to establish a solid vision of just who that demographic might be. You can also take a look at the marketing efforts of your most successful competitors; this should give you a sense of which audience you should try to draw. Once you know who your intended demographic is, you’ll need to design your website and its content to appeal to that audience. If your business is selling novelty clothing items, you could display bright colors and humorous slogans on your website to attract young people. If you own a travel agency that caters mostly to seniors, you might use a larger font than the one you currently have displayed. Little details like these can sometimes make all the difference in terms of securing sales. Don’t forget to supply your visitors with an ongoing stream of content that relates to them and their needs as customers. Building sales on your e-commerce site may take some time. However, you can utilize certain methods that have stood the test of time. By personalizing the customer experience, cleaning up the home page of your website, and always keeping your intended audience in mind, you may experience an increase in sales in a shorter amount of time than you ever believed was possible.